For good cause, request the Mayor and the City Solicitor prepare a Notice of Termination pursuant to Section 5 of the employment contract between the Superintendent of Schools (Salah Khelfaoui) and the Lowell School Committee. The Notice shall be reviewed and approved by the Committee prior to service upon the Superintendent. Effective immediately, place the Superintendent on paid administrative leave. Effective immediately, appoint Jeannine Durkin as Acting Superintendent of Lowell Schools. The motions all passed on 4-3 votes. Voting in favor of the motion were Mayor Bill Samaras (Chairman of the School Committee); School Committee members Jackie Doherty, Connie Martin and Gerry Nutter. In opposition were School Committee members Bob Hoey, Andy Descoteaux and Dominik Lay. Prior to the discussion and vote, members of the public who had registered in advance had an opportunity to address the School Committee. All the speakers were against these motions and firm supporters of the Superintendent. There were many eloquent and passionate speakers who not only expressed their support but had strong criticism for the School Committee’s actions. The speakers were mostly concerned parents, teachers or educational professionals. Also addressing the meeting were Paul Georges, the long-time President of the United Teachers of Lowell (American Federation of Teachers) and an Attorney from the Massachusetts Association for School Superintendents. The former discussed the collaborative efforts between the union and the Superintendent and the latter mentioned that if these motions go forward, questions will be posed in another setting. Unfortunately, a lot of us, including me, do not closely follow the goings on with the School Committee. Besides, School Committee member Gerry Nutter’s lengthy and detailed list of what he perceived to be unacceptable financial practices, I really did not get a full understanding of why at this time, these actions were being taken. The public dismissal of any individual is painful to watch. Could it have been done differently? After the vote to put him on administrative leave, Superintendent Khelfaoui picked up his papers, shook the hands of his staff that was sitting next to him, proceeded to shake the hands of the three School Committee supporters and was followed out to the sounds of applause from his supporters who had filled the galleries. The next step is for the City lawyers to draft the notice of termination with cause. That will be voted on by the School Committee at a later meeting. One of the major themes mentioned on Wednesday night was the habit that Lowell has fallen into of having their school superintendent leave under acrimonious situations. We were reminded that for the past 10 years, we have had 4 school superintendents. Furthermore, late July is not a good time to search for a new superintendent. Also, will our recent history make it difficult to attract quality candidates? “Baehr admitted that Lowell can be a tough place between the politics and the challenges presented by the media, but a place she enjoyed thoroughly. You can catch replays of the meeting on your local access television station, Channel 99 or stream it on the Lowell Telecommunications Corporation (LTC) webpage. Thursday’s New York Times published an op-ed piece by author Ben Yagoda regarding “whataboutism.” We may not be familiar with the use of the term but we all know quite well what it means. Let’s say, you are involved in a discussion and you make a point about a public figure’s actions. The person who is arguing with you then says, “what about so and so,” usually referring to someone whom you support. You cannot have a decent conversation, especially on social media without someone employing this tactic. It makes for a terrible exchange of ideas and creates more divisiveness. Lowell is lucky to have quite a few professional and amateur photographers who post outstanding images of the City. One of my favorites is Somewhere in Lowell. If you do not already follow that site on Facebook, I would strongly suggest you check it out. 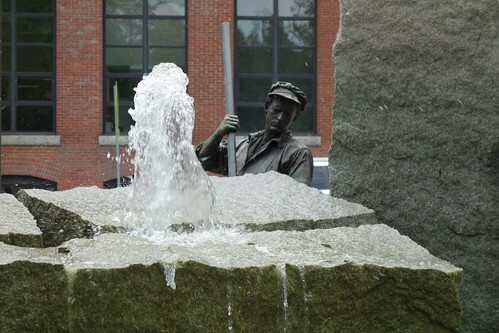 The pictures are of Lowell but they represent the daily ebb and flow that only residents would recognize and appreciate. Thank you Mimi. I’m going to look at Somewhere in Lowell. Sounds like a good FB page to follow.